In October I had the pleasure of attending ShadoCon. 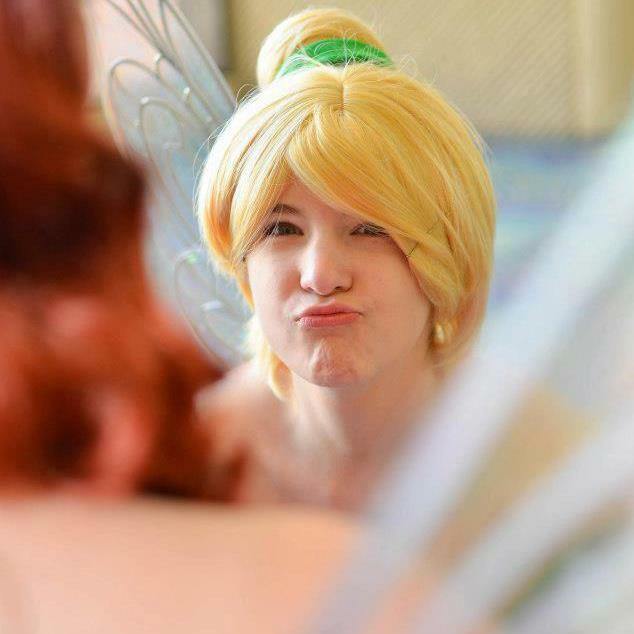 Sarah is a cosplayer who initially caught my eye for her accurate portrayal of Tinkerbell. She captured the sass and attitude that any cosplayer should display when cosplaying Tinks. Enjoy! Stay Tuned after the interview for an overview of ShadoCon. After wondering around for a few minutes in a tent only mildly air conditioned, in a typical humid Florida day, I arrived at what I thought to be Sarah’s merchant book. 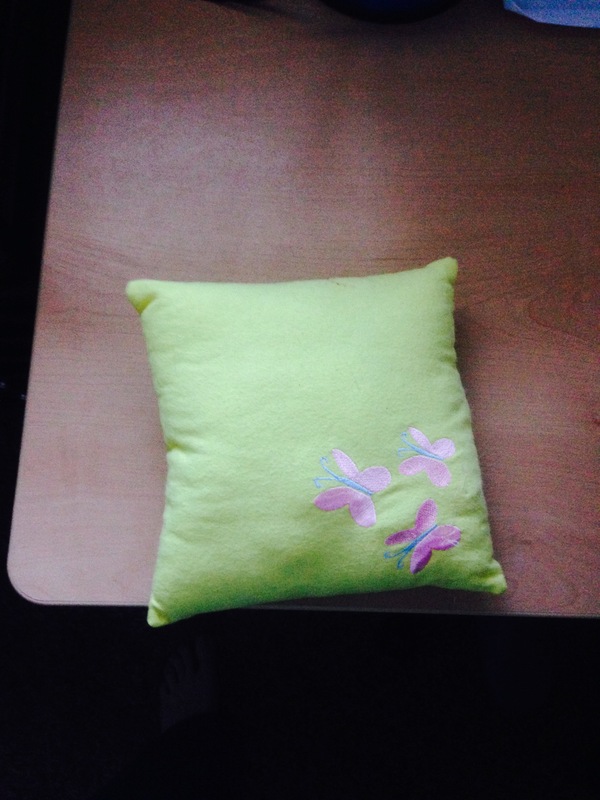 She and a few of her friends sold an assortment of fandom goods, my favorite being a MLP themed mini-pillow pictured below. As an avid MLP fan, I always have my eyes peeled for good quality fan merchandise. I less confidently compared the map in my hand to the position of the table, then walked away (no the story doesn’t end here) because like most geeks I was less than confident in the fact that I wouldn’t be labeled intimidating or at worst awkward. After lap two I decided to bit my lip and ask. Like hot sauce down your throat, the words came out. “Sarah.” She looked up wearing a Mikaru Cosplay from the anime “Magic Knight”. We go off to an easily found side corner of the “market tent” to have our conversation. I instantly feel vindicated as I can’t help but think, yes Tinkerbell is this cute. After a few minutes of silent, non directed (courage is something I still might lack with girls, even though I am married) photos with a Sony Cyber Shot (notice the graininess). She nervously stands, waiting for me to start asking questions, which makes me nervous. Darn! A: When did you start Cosplaying? I see her reach back in her mind, her eyes light up, she describes her first love in cosplay. Kingdom Hearts. She like most gamers got enthralled by the sequel more than the first. “Kari was my first real cosplay, I tried to help, but really my parents took over”. A: Why did you choose to cosplay as Tinkerbell? She tells me “I’ve watched Disney since she was a child”, my heart lights up as there is hope for OG Disney Cartoons. A: You like to cosplay a mix of old school and new school cartoons, why? Her shoulders relax a little, “I grew up on Sailor Moon, in fact, I have a Sailor Moon cosplay.” She sums up the answer in a phrase which consists of her saying that Magic Girl Cartoons are the best. She talks about her parents still helping, but that her skills are increasing. I feel like I am seeing a promising high school sports star. What really comes through from Sara is the love of everything Cartoons and Anime. Sarah goes on to say that Queens Blade is another one of her favorites, and know I can surely tell that she has a love of cartoons in a way that it connects to her emotionally. In conclusion if you want to see a good cosplayer, that pulls off a cute Tinkerbell, go over to her page and check it out. ShadoCon, hosted at a Medium Sized hotel, was a Small Convention pulling off Medium Convention Content. An overall rating of B+ from this experienced congoer. -More Merchandise than you can shake a stick at. Not only that, but it consisted of varied vendors selling all sorts of goods. I even saw a table selling engraved geek emblem glasses, i.e. a Rebel Alliance etched glass. -Knowledgeable and aware staff. The staff were consistently aware of the crowd, the order of the line, and keeping the hotel’s hallways clear. I cannot emphasis enough how important this was to a good experience, as the hotel was certainly big but not gigantic. -Really Guys? A tent on the outside of the hotel. 1: Hi, Welcome to Florida, it’s hot and humid. I could only imagine walking that trail of blargh! in a costume. Next time find some more open space or cut down your Vendors. – Too crowded the big but not too big feel size of the hotel left you feeling at most times like a Salmon in spawning season. Even in “open parts” of the hotel there were enough people to feel the heat coming of off the humanity (cue Dragon Con war flashbacks!) and the smell as well! This Convention is great for Anime lovers, and a wonderful way to meet young people, but until it moves to a bigger venue it will never graduate to the big leagues. 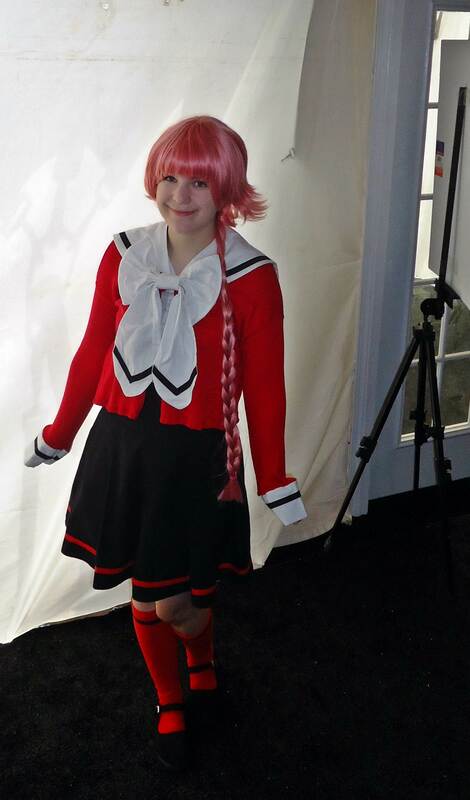 Previous ArticlePeoples Choice: What Was Your Favorite Anime Convention of 2013?